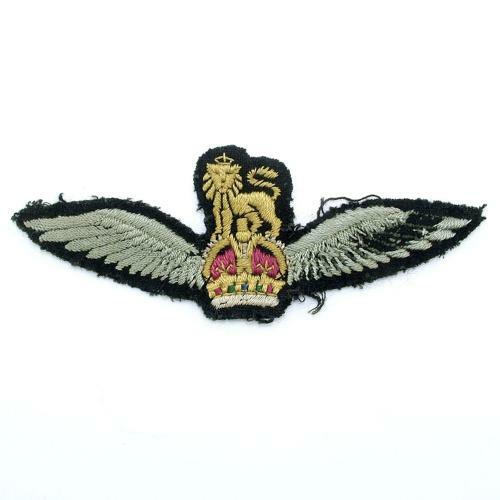 British glider pilot regiment wing emboidered in silky thread on black felt. The feathering on the right side is worn, possibly through abrasion of an airframe harness or parachute webbing. This wing belonged to a veteran who also flew with the RAF but was seconded to the Glider pilot regiment. His name will be supplied to the buyer. Purchased directly from the family. Quite a rare find these days. Stock code U21994.